A Maine artist is collecting photos and stories of the world's great wood stacks. If you’re one of those people who takes pride in your wood stack, Ayumi Horie wants to talk. Horie, a Portland artist, is researching a book about the art, process and functional concerns related to building a perfect wood stack. She is seeking photos and stories about unique wood stacks around the world for her book, which Princeton Architectural Press plans to publish in 2021. “Woodstack” is the working title. Since we’ve had fire, humans have built wood stacks to heat dwellings, fire kilns, cook food and for many other practical reasons. A well-crafted wood stack represents an innate desire to build functional structures and is an expression of the builder’s care or skill, she said. For Horie, the process of stacking wood to use in the stove of her Portland home is both therapeutic and recuperative. She is seeking stories from others who feel similarly, and is especially interested in telling stories about wood-stacking customs around the globe. Her book will focus on how transforming a pile of logs links cultures and customs, from Maine to Scandinavia to East Asia. This is not an idle interest for Horie. For the past 10 years, she has co-managed a Facebook group called the International Society of Woodstack Enthusiasts. 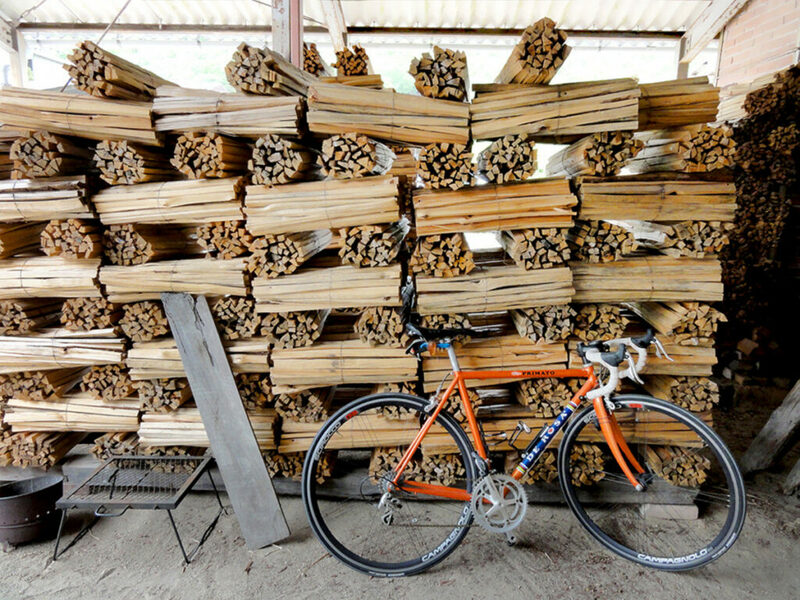 Members share photos of cool wood stacks from around the world. 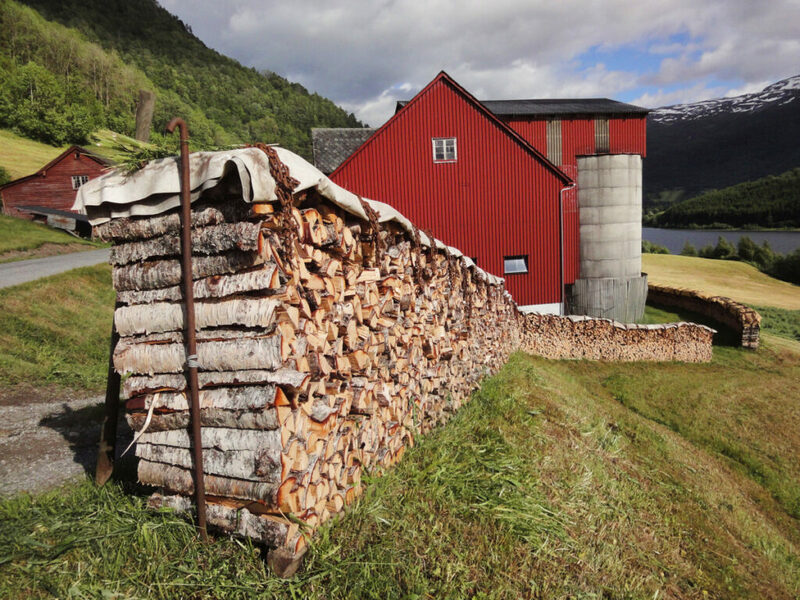 She has collected photos of farmers in Norway who stack small wood piles under the rock ledges of a mountain side. In Botswana, where the wood isn’t necessarily used for heating, wood stacks might function as livestock enclosures. 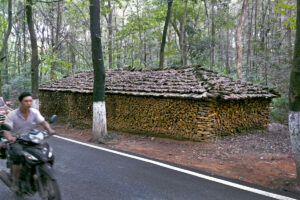 In China, people construct wood stacks to look like small cottages. At her home, Horie favors building stacks that resemble giant cupcakes and function as a kind of hedge near the property line. She likes to string lights between the stacks. 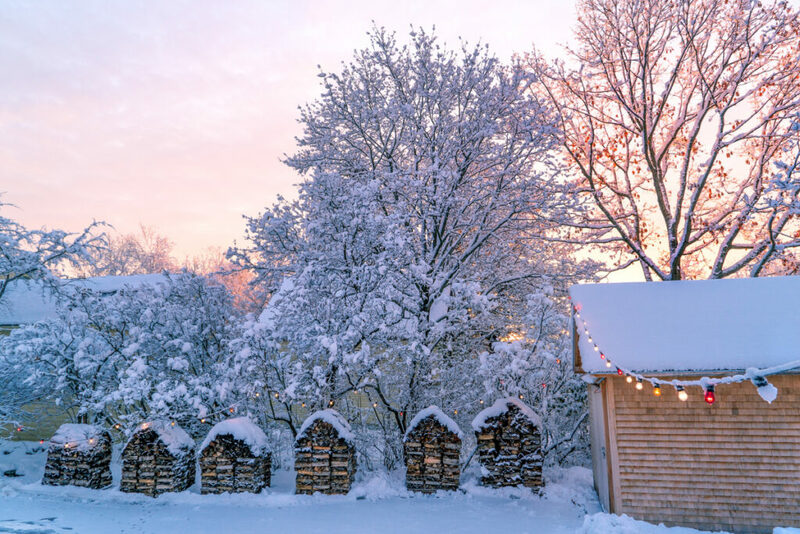 In the winter, as snow piles on the gabled roofs, the stacks create a beautiful backyard wonderland. 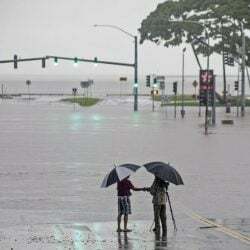 “It makes the property feel a little cozier,” she said.